Stephen Colbert and Hugh Jackman remember Stan Lee on "The Late Show"
Stephen Colbert paid tribute to late Marvel legend Stan Lee on the "Late Show" Monday. Colbert eulogized the beloved "God of the Marvel Universe" and thanked Lee for creating characters like Spider-Man, the Incredible Hulk, Black Panther and the Fantastic Four. Kirk Schenck, an attorney for Lee's daughter, J.C. Lee, confirmed to CBS News that Lee, 95, died at a Los Angeles hospital on Monday. "Today, the world lost a legend," Colbert said. "Marvel Comics co-founder Stan Lee, Stan the man. Lee had a hand in creating all your favorite comic-book characters. Lee was also a World War II veteran, a screenwriter and married to his wife Joanie for 70 years. After they dated for two weeks, they flew to Reno so she could get a quickie divorce and marry Stan the same day. That's a story." The host continued, "So thanks for all the stories, Stan, and I know you're hearing this a lot today, but 'Excelsior.'" "Excelsior" was Lee's signature sign-off. Colbert talked about being a Marvel fan himself and pointed out a Captain America shield he keeps on set: "from when Captain America died, he left me the shield in his will." 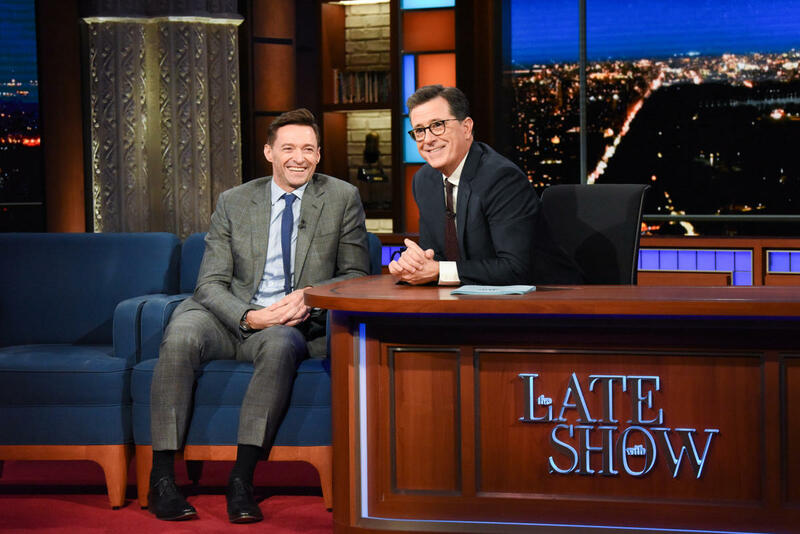 Hugh Jackman, who has played Wolverine in nine films, joined Colbert on set and said of Lee, "Let me say to the family and legions of fans that I remember Stan as a true gentleman who had a glint in his eye. He's a creative genius. He thought outside the box. He created a whole universe that changed the lives of many people, mine included." Jackman also recalled a time he felt overshadowed by Lee's star on the red carpet: "I was the only one was on there and no one was taking my photo because at the other end was Stan Lee ... Stan, God bless you, you're one of the greats." Many other actors who play Marvel heroes paid tribute to Lee as well. On Monday, Chris Evans wrote, "There will never be another Stan Lee. For decades he provided both young and old with adventure, escape, comfort, confidence, inspiration, strength, friendship and joy. He exuded love and kindness and will leave an indelible mark on so, so, so many lives. Excelsior!!" Winston Duke tweeted, "THANK YOU, @TheRealStanLee. You gave us characters that continue to stand the test of time and evolve with our consciousness. You taught us that there are no limits to our future as long as we have access to our imagination. Rest in power!"